Agile and innovative leadership in Arizona’s business community supports the continuing strength of our economy. Leadership can make all the difference in profitability, productivity and attracting talent (among other things) for business. As you’ll see in the portraits of leadership included in this issue, leadership takes time, requires decisiveness and patience, and, most importantly, is an activity not a title. At Valley Leadership, we’re proud to have among our alumni ranks the thought-leaders, the doers and the decision-makers making the Valley what it is today and what it will be tomorrow. As the Valley has grown, we’ve discovered that the power of our economy and the strength of our communities will rely not just on leaders but connecting the dots of leadership, what we’re calling leveraged leadership. Our systems have become increasingly vast and complicated (whether in business, education, healthcare, transportation, you name it), so that cross-sector collaboration is no longer a buzz word, it’s a necessity. Leveraged leadership is the glue that sticks us together and gets us working toward world-class. It’s the choreography that sets our impact in motion and leads to solving challenges and seizing opportunities, in business and beyond. This issue’s cover story shines a spotlight on the heads of some of the more prominent businesses in various sectors. The opportunity to look into the challenges they identified in their industry and the calculations behind their decisions offers valuable insights to benefit other business decision-makers throughout the community. How did they lead? Using a presentation style unusual for a business book, Rich Horvath explores strategy as a business process in the form of a graphic novel, StrategyMan vs. The Anti-Strategy Squad: Using Strategic Thinking to Defeat Bad Strategy and Save Your Plan. With illustrations that give the flavor of his recently released book, this best-selling author offers his expertise in a feature article written for In Business Magazine. In this December issue is also a feature on design thinking, an approach to business operations that has been gaining increasing attention. 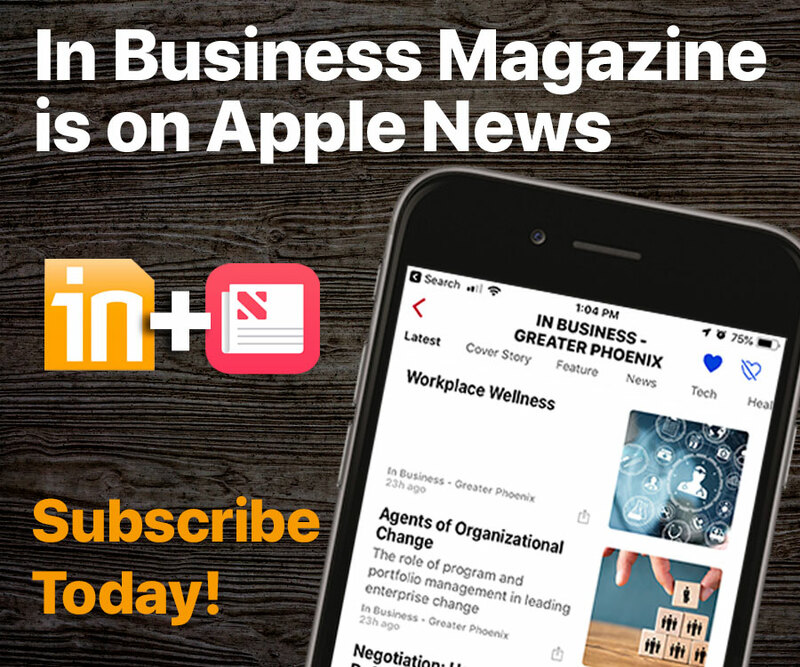 And this issue’s closing feature deals with the importance of a company getting problem-solving input at all levels — and how to encourage those who hesitate to speak up — showing us how leadership is a verb. Exercise and eating tips to help you stay healthy while traveling are timely for the holidays (and beyond), as are tips on dealing with holiday-related operational pressures such as an overload of vacation requests. 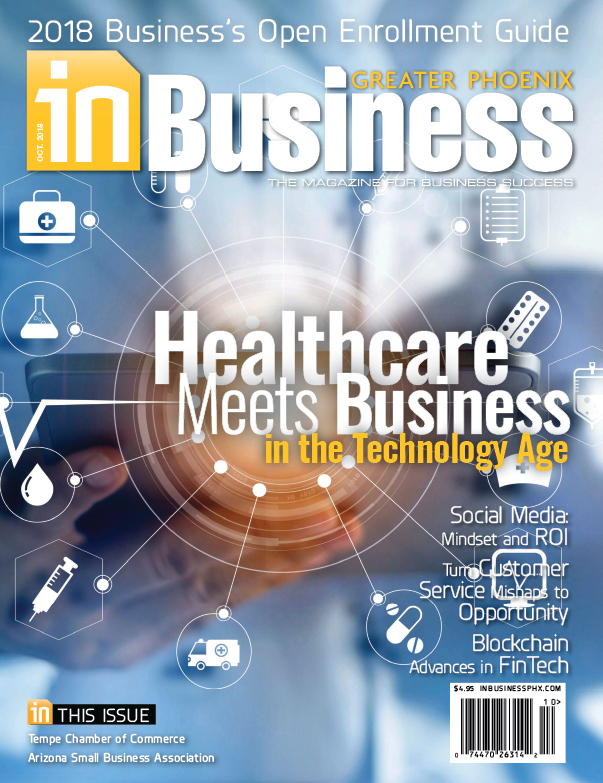 These articles, in the Assets column and Briefs pages, respectively, are among the many that typically fill the pages in In Business Magazine with a wide range of pertinent content to inform and empower business owners, executives and community leaders. 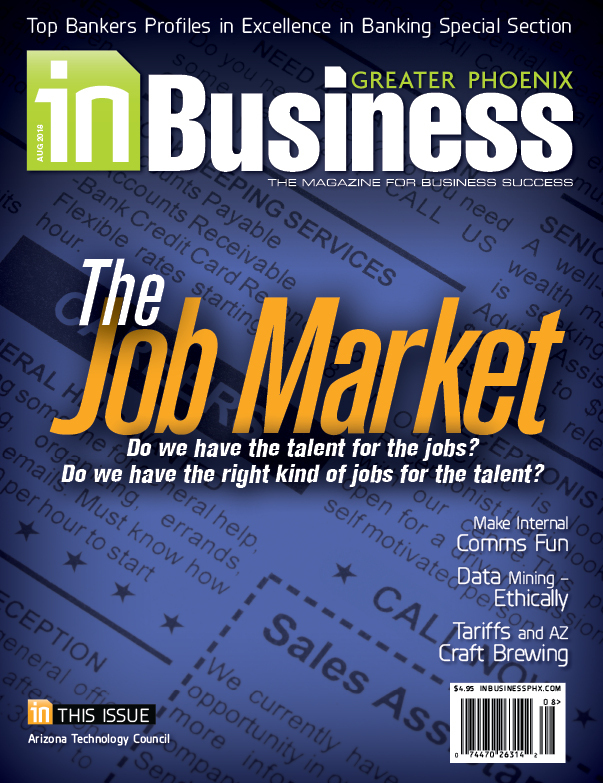 It is my pleasure to help bring you this December issue of In Business Magazine. I hope you’ll find it — as I do — to be a valuable resource for business. David C. Brown is the CEO of Valley Leadership, the Valley’s premier leadership program, boasting a proven and long-standing track record of making deep impacts on the community. Valley Leadership empowers, leverages and mobilizes leaders to meaningfully impact the most pressing issues facing Arizona. Prior to becoming Valley Leadership’s CEO in September 2017, Brown was CEO of Home Matters and executive director of the National NeighborWorks Association, both working to raise national awareness of the need for better homes and communities across the country. Brown holds a Bachelor of Science in Accounting from the University of Arizona and a Master of Public Administration from the University of Southern California. He also received a certificate from Stanford University’s Executive Program for Non-Profit Leaders in 2013.